Your need for competent, objective retirement plan and guidance—from an advisor you can trust—has never been greater. That’s why your plan should work with an independent retirement plan representative affiliated with LPL Financial. Meaningful, timely information and research: An LPL retirement plan representative can offer you deep industry insights and knowledge of the regulatory landscape that help enable you to make informed choices for your plan’s individual needs. Easy access to value-added investments and services: An LPL retirement plan representative can deliver proprietary research that’s designed to help you tap the world’s most talented investment management teams. 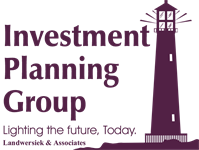 Unparalleled service: An LPL retirement plan representative firm is committed to providing what you and your employees deserve and expect—great financial education at enrollment and one-on-one meetings. * As reported in Financial Planning magazine, June 1996-2016, based on total revenues.